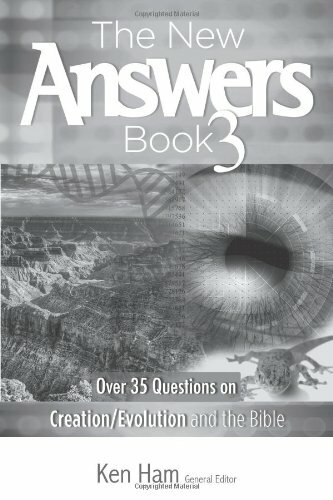 KEN HAM OF ANSWERS IN GENESIS MINISTRY AND THE CREATION MUSEUM LEADS A POWERFUL GROUP OF CONTRIBUTORS TO ANSWER SOME OF THE MOST COMPELLING QUESTIONS OF SCIENCE AND THE BIBLE IN THE ANSWERS BOOK SERIES. FROM THE OUTER EDGES OF THE KNOWN UNIVERSE TO THE MOMENT LIFE BEGINS, THIS CONTINUING COLLECTION OF ANSWERS WILL MAKE AN INCREDIBLE IMPACT ON YOUR LIFE AND YOUR PERSONAL JOURNEY OF FAITH. FOR THOSE BELIEVERS WHO DESIRE TO DEEPEN THEIR UNDERSTANDING OF GOD'S WORLD IN AN INCREASINGLY SECULAR SOCIETY!